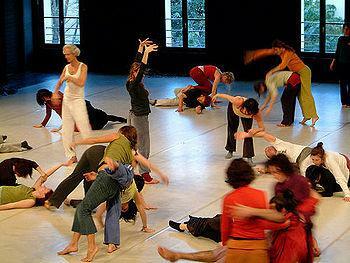 Contact Improv is almost a physical analog to the trends and principles articulated for a sustainability culture. Dances shift between solos, duets, or group creations. Weight and balance are exchanged, who is leading and who following either shifts or is irrelevant. Dancers go to the ground, whirl about the floor, fly through the air, slide off hips and shoulders. 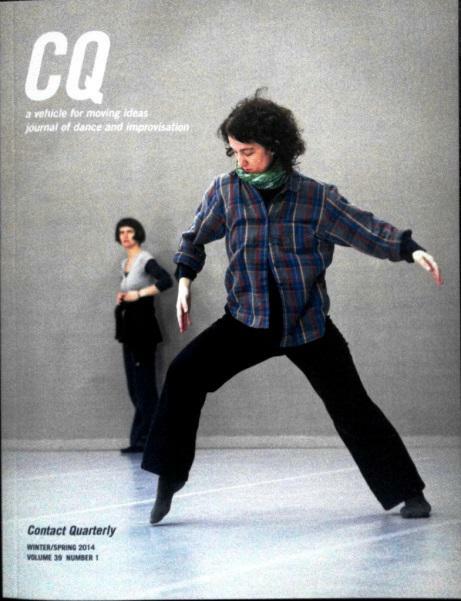 In the performance context, Contact Improvisation is used either as a dance practice end-to-itself or as a dance research method for identifying new set choreography. As a social dance, the regular meetings (often weekly) of practitioners that take place world-wide are called “jams,” in which participants participate and watch as they choose over the course of some hours. Dancers practice both known CI technique and conduct new dance research with different partners or groupings over the course of a jam session. The name “jam” is used in keeping with its use by contemporary musicians, who come together to spontaneously explore musical forms and ideas, with some group agreement about structure and duration of the exploration. While there is now an established CI Fundamentals technique, CI dance vocabulary is not closed, so all who practice the form contribute to the constant expansion and greater understanding of the dance form’s vocabulary, which is exchanged and taught among practictioners world-wide via regional jams, classes, week-long festivals, both print and online publications and, since its inception, via video in a process of dancing/watching/refining. While CI dancers usually stay touching or in physical contact for much of a dance, a CI dance can occur in which partners never touch yet there is a clear “listening” and energetic connection/intention that creates the “contact” of their shared dance.